The National Museum of Natural History's Sandra Raredon maintains the "fish library," a job that includes X-raying the specimens like this two-headed smooth-hound shark. Below, a small tooth sawfish and Atlantic angel shark. 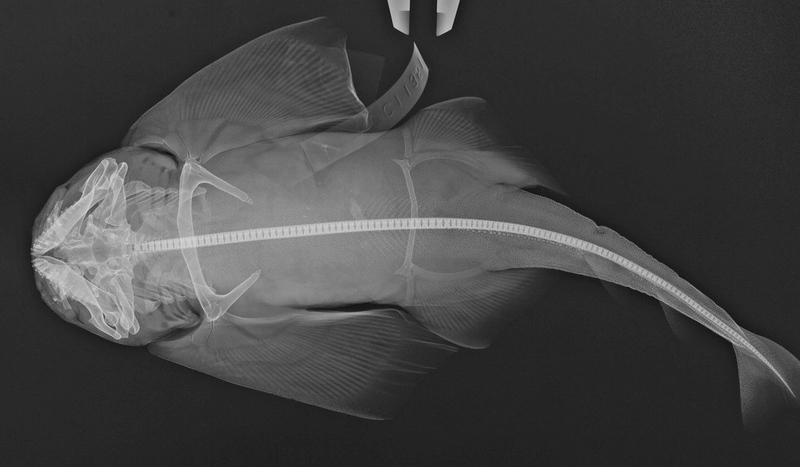 "A Two-Headed Shark and Other X-Rayed Beauties at the Smithsonian"